You're all set! 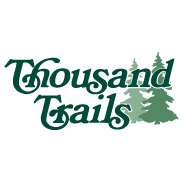 Confirm you want deals for Wilderness Lakes RV Resort in -zip-? Wilderness Lakes RV Resort and Campground is a flat, 80-acre RV Resort in California with fishing canals that weave throughout the park. As a centrally-located RV camp, it is close to shopping, hospitals and freeways in California's Los Angeles region. The surrounding area has been changing quite dramatically with housing projects on two sides and dairy farms on the other. The temperatures are mild in the winter and warm to hot in the summer, making Wilderness Lakes a perfect RV campground no matter what time of year. At Wilderness Lakes RV Resort and Campground, we have a total of 523 sites, which include rental units and cabins. Our general store is open five days a week for all of your convenience needs. Since fishing is one of our most popular activities, we stock the canals with channel catfish. Stop at the ranger station or visit the general store to purchase your required fishing permit for $10/day. Locally, there are numerous golf courses within a 15-mile radius of Wilderness Lakes, one that is only two miles from the RV campground. Old Town Temecula is only 17 miles to the south of our RV camp and offers great dining and shopping in true California style. The Pechanga Resort and Casino is about 20 miles south of the resort and is the largest gambling casino in the state. It has weekend entertainment, seven restaurants and a non-smoking section for gambling. Diamond Valley Lakes is just 5 miles to the east of the resort and has boat rentals and fishing. Most of the major theme parks, such as Disneyland, Sea World, the San Diego Zoo and the San Diego Wild Animal Park are all about 1 Â½ hours away.